I have three kids and if I’m really being honest with you – we haven’t started formally saving for their college education yet. Sure, we’ve been putting aside money here and there… but that’s where it stops. As a small business owner, everything falls on our shoulders. I don’t have someone sending me reminder emails or forms to fill out making this process simpler. If I don’t think about it, then it doesn’t happen. And a 529 plan just hasn’t been on my mind. T. Rowe Price knows that saving for college can be scary, confusing, and that parents have a lot on their plates so finding time to do the research about how to save can be difficult. But the T. Rowe Price College Savings Plan is an affordable, flexible 529 plan that puts over 75 years of investment expertise on your side so you can know you’re making the right decision for your child. Bill and I finally sat down and decided it was time to get one started for our kids. 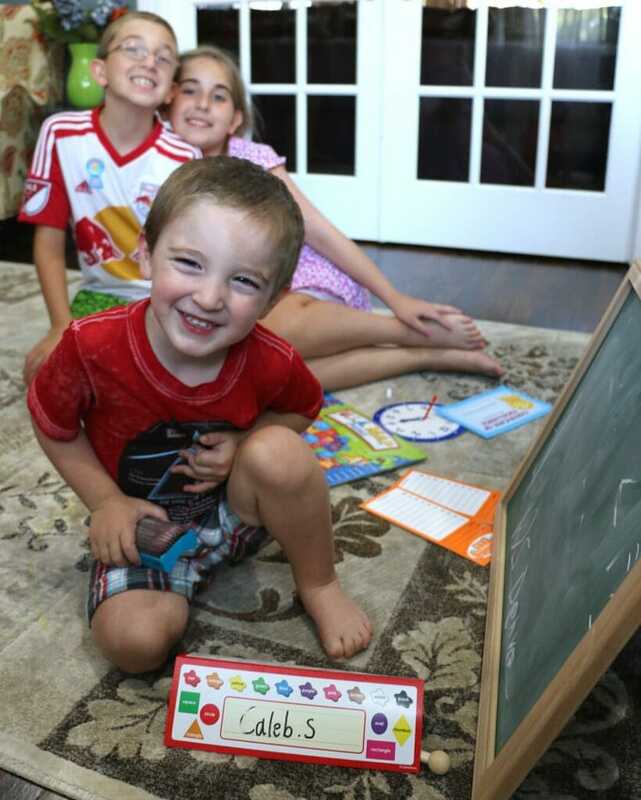 After all, a 529 college savings plans have unique benefits like tax-free earnings potential! What?! Sounds like the best way to save for college to me. 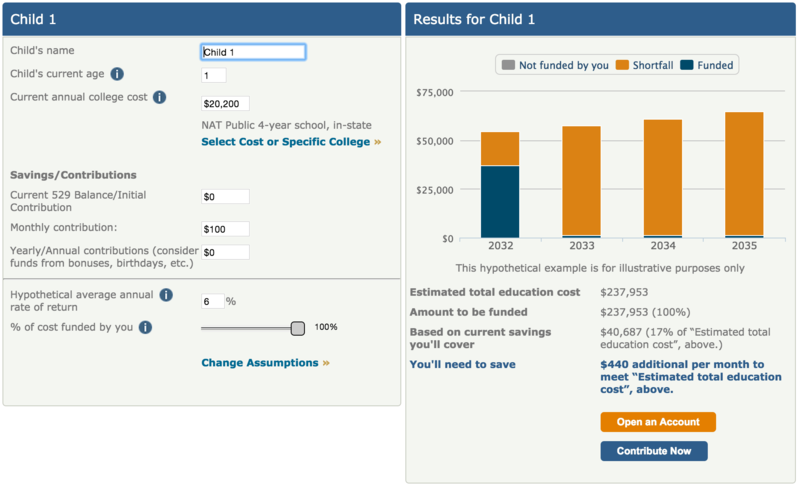 T. Rowe Price has a College Savings Planner that allows you to develop a plan to save quickly and easily. Basically you input your child’s current age and it will tell you how much you’ll need to save to reach you particular goals. Even more easy are their enrollment based portfolios. Basically you can choose the year your child will likely enter college and the portfolio automatically adjusts to be more conservative as the date approaches. No matter what you invest in, their 529 plan gives parents the ability to save as little as $50 per month, or if every now and then they want to deposit a lump sum contribution – they can do that as well. Can I Access My Money If My Child Doesn’t Go To College? Yes! 529 plans offer access to your money, regardless of the use. If your child doesn’t go to college, you can transfer it to a family member of the beneficiary with no penalties, or, if you need to use the money for unqualified education expenses for any reason, your contributions are always tax and penalty free. Any earnings would just have to be subject to a penalty and taxes. What Kind Of College Does It Have To Be? It doesn’t have to be the standard university. Your 529 plan can go towards vocational, technical and graduate school! And yes, that includes tuition, fees, room, board books and some supplies. End result – this is something you need to consider if you are saving for college. For more information, visit T. Rowe Price. The T. Rowe Price College Savings Plan is offered by the Education Trust of Alaska. You should compare this Plan with any 529 college savings plan offered by your home state or your beneficiary’s home state and consider, before investing, any state tax or other benefits that are only available for investments in the home state’s plan. Please read and carefully consider the Plan Disclosure Document, which includes investment objectives, risks, fees, charges and expenses, and other information. T. Rowe Price Investment Services, Inc., Distributor/Underwriter.